Every year, thousands of students leave their countries to progress their education in lands unknown. In recent years, increasing tuition costs in Higher Education Institutions (HEIs) in the UK and US have increased the popularity of seeking education in other countries including non-English speaking countries. In today’s post, Emmanuel caught up with Dr Oge Ezeoke, an intern at a teaching hospital in Nigeria, who completed a medical degree in Ukraine. Oge discusses her experiences and challenges of being an international student in Ukraine and offers some words of advice for anyone considering studying medicine in Ukraine. APH: Why did you choose to study in Ukraine? OE: Most people ask me why I went all the way to Ukraine to study medicine. I think the best answer would be, I didn’t. After graduating from high school, I applied to different Nigerian universities without luck and I decided to look outside the country instead of staying at home waiting. I applied to one university in Ukraine and I got accepted. APH: How were your early experiences and what challenges did you encounter? OE: I arrived in Ukraine without knowing a single individual. I had no friends or relatives over there. It felt like landing on the moon. At first I was unhappy because I was so far away from home, but I was also afraid because I had never lived on my own. After settling down and completing my registration, I faced my first challenge, the language. My program was taught in English but once I left the classroom, I was on my own. I had to walk around with a translator, usually a foreign student like myself who could speak the language. So let’s say I was independently dependent, and that motivated me to learn the language. Another challenge was the weather. That was quite a challenge going from the equator to the North Pole. But my toughest challenge of studying in Ukraine was the racism. At first, I didn’t have a problem with the way people stared at me or my friends, probably because we stared back. But as I began to understand the language, I started to hear the side remarks and the insults. Luckily I was never physically attacked because ladies were told to always walk in pairs and not to stay out late. It was difficult but in a way I appreciated it and after some time it got easier and I learnt how to accommodate it. APH: Were there any good points? OE: There were a lot of interesting and new things I enjoyed while I was there. I learnt a new language. I also leant how to cook Indian and East African cuisine. I got to travel and visit new places within the country. I enjoyed the organization and how orderly things were. I’m not saying things in my country are not organized, it was just nice to have a different feel altogether. A couple of my friends enjoyed the way things were done over there and decided to stay back and further their studies. I thought about it, in fact I almost considered it. But I needed a lot more practical experience and I knew I wouldn’t be satisfied staying back in Ukraine. My school was good for the theoretical knowledge but not for the practical one. I wanted to believe that was because there were so many foreign students and most of the local patients we interacted with in the hospitals sometimes got “overwhelmed” by our presence in the sense that they weren’t too comfortable with the idea of being examined or touched by a foreigner. I believe this was a general thing in most of the universities in Ukraine. And it affected how much practical skills we got to learn or apply and the effect of that was seen when I got back home for my internship. But I was still grateful for the whole learning process. APH: What can you say about the occasional negative impression about medical studies in Ukraine? OE: While I was in Ukraine, I heard a lot of things that were said about people who went to study in Ukraine. There was this general idea that only “spoilt children” were sent Ukraine and all we did was go clubbing and become musicians. Now, that isn’t entirely true. Everyone is free to do what he or she wants to do. If someone decides to go to school and study till they drop, their choice. Medical students back in Nigeria also felt it was a waste of time studying abroad because the “medicine” was different. This is completely wrong! Practicing back in Nigeria has shown me that medicine is basically the same everywhere. The only difference would be that we tend to pay attention to the diseases or conditions which are most common or have the highest incidence in our own environments. APH: What would you say about other students taking the same route you did? OE: I know right now most parents wouldn’t want to send their children to Ukraine considering the ongoing tensions and the political crisis in the eastern part of the country. This however did not affect the western part of Ukraine. APH: Any last words about your experience? OE; Studying in Ukraine was a wonderful and life changing experience for me. I learnt so many things and I also believe it made me a bit more focused. So if anyone is interested in studying Medicine in Ukraine, I would advise the person to go ahead. It’s not as expensive as other medical schools in Western Europe or Europe as a whole. If you don’t have a problem with the weather or racism, then it’s ok to study in Ukraine. Plus, if you would like to simply get a degree in Medicine and further your career in a different geographical location then it isn’t a bad idea. The reason is the postgraduate programs in Ukraine, in my opinion presently doesn’t benefit foreigners because of the struggle to acquire practical skills. All in all, it is still a wonderful place to study medicine. If you enjoyed reading this article, please share and subscribe to our network! To find out more information about studying abroad or choosing a course to study at University, do get in touch with us. If you have an article you would like to share with our readers, please contact us – info@aspiringprofessionalshub.com. Does Intercontinental Relocation Mean Restarting Your Legal Career or Training? Moving across countries or continents occasionally pose career defining questions and challenges such as the equivalence or transferability of qualifications or certifications. In today’s post, Lola Adekanye shares her experience of a transatlantic legal career and offers practical suggestions on nurturing a legal career across continents. So, for some good reason you have to be uprooted from one jurisdiction to another in the course of your legal career journey, tossing your plans to go to law school and chart a path on the bench or at the bar up in the air. This is the picture of my career journey thus far; I started my career in England, then I relocated to Nigeria and subsequently to the U.S. While, some lawyers change their career paths completely from law to a different field or discipline. This choice has its own challenges as one would still need to qualify and be employable in the new location and when properly weighed, this was not a very attractive option for me. In the course of obtaining two law degrees in England, professional law certificates both in Nigeria and New York and another law degree in the United States, I have come to the conclusion that a transatlantic legal career can be rich and fulfilling with proper planning. The two major deterrents to transitioning lawyers or law students are qualifying in the new jurisdiction and employability given the lack of familiarity with the legal systems and structures in the new jurisdiction. Qualifying – Legal studies and the process of qualifying to practice law in most jurisdictions is notorious for being grueling and very demanding and the entry requirements vary distinctly from jurisdiction to jurisdiction, so it is important to adequately prepare by conducting appropriate and extensive research. In addition to research, obtaining first hand information about the jurisdiction is fundamental. Having the right information early on will put you on the right path and save time. The qualifying requirements to sit a Bar entry exam varies widely from jurisdiction to jurisdiction and are usually very specific. For instance some jurisdictions require that a law degree must include specific courses. Thus, current law students are in a good position to prepare to meet those requirements while they are in law school while practicing attorneys can manage their schedules to start making plans to meet the requirements. Practicing attorneys may also find that in some jurisdictions, experience counts as an alternative entry or admission requirement to exam. A clear road map for qualifying puts things in perspective for lawyers who consider changing career paths due to the challenges of transitioning into a law career in a new jurisdiction. It turns out that changing to a new career path would require a considerable amount of studying which may take equal amount of time or perhaps more time than it would take a transitioning lawyer to sit the qualifying Bar exams. Employability – My legal counsel during my undergraduate studies enlightened me to the comforting fact that a law degree equips you to function in a variety of capacities order than litigation. This would require that you obtain at least basic substantive knowledge in another field or additional soft skills in addition to core legal skills such as drafting and research. This is even more true as clients directly or indirectly demand an integrated service of their attorneys and law firms. The ability to apply business skills or orientation, operational knowledge, language skills and science knowledge to legal representation is an advantage to landing a job or finding a role within other non-conventional legal positions. On that note, if you are a current student or aspiring lawyer, it might also be worth considering a combined degree as it can be of great benefit. For anyone studying outside the U.S, taking a minor in another course of interest during their undergraduate year while you major in law would be the way to achieve this. While for students studying in the U.S, going for first degree in any course in order to qualify for admission to law school to earn a Juris Doctor which is a law degree equivalent to a Bachelor of Laws (LLB) in other jurisdictions is advisable. Finally, keep an open mind to a host of alternative practice areas to litigation. 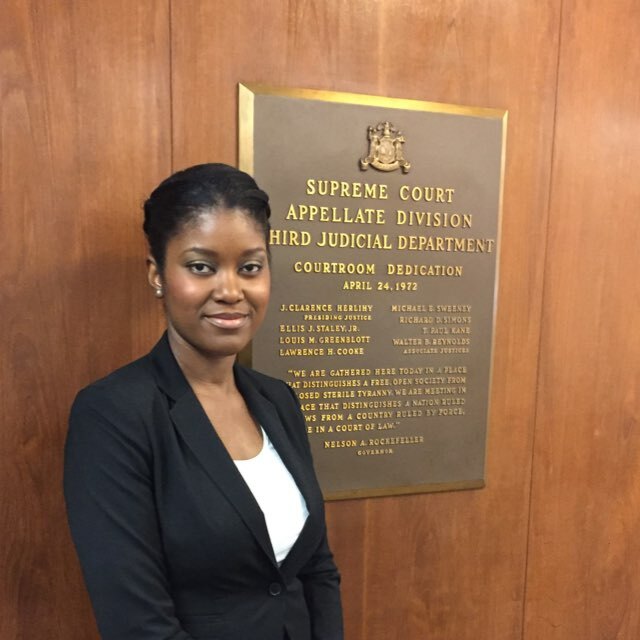 Lola Adekanye obtained her Master of Laws (LL.M.) in Securities and Financial Regulation from Georgetown University. She operates as a Legal Counsel as well as a Business Risk and Compliance Consultant. Lola enjoys writing as well as sharing her experience in developing a legal career as well as business strategy and international education. Wondered what to do after completing a degree in the Life Sciences? Have you considered the variety of opportunities available for you after you graduate? Over the next weeks, we will showcase a range of career options open to graduates of different disciplines with guest posts from professionals in some of the sectors. However, as scientists, we will start with some of common and not-so-common career options available to life sciences graduates and in some cases to non–graduates interested in working in the life sciences. Teaching – Teaching remains one of the oldest and long standing professions. Be it primary or secondary school teaching, we have come across many people who have commented on how exciting and rewarding teaching can be although like any other career, it comes with its challenges. To work as a teacher in either primary level or high school, you will need patience. If you do not like children, perhaps teaching may not be the best fit for you. There is always a need for teachers with a science background and with the declining number of people taking mathematics, there is a big gap to fill in the STEM subjects. To qualify for a job as a teacher, beyond your degree (2.2 or above), you will need to enrol on a teacher training program. Check out Routes into teaching (UK) for more information. If you would like to teach abroad, do some research on what teaching qualifications you will need. Lecturing – To work as a University or College Lecturer on the other hand, the minimum requirement is a master’s degree qualification. A lot of Further Education institutions (colleges) accept Masters Degrees and in some cases, you can work as an Associate Lecturer at a University. In the Life Sciences, it can be difficult to get into lecturing in Higher Education without a PhD degree due to the high number of PhD graduates and Post-doctoral researchers in this area. If you feel lecturing is what you would like to do, consider doing a PhD first as you will need it to progress through the ranks. You will also have the opportunity to develop your research profile – which you will find important when supervising students projects and dissertations. If you are currently studying for your PhD and have no interest in postdoctoral research but would like to teach, consider undertaking a postgraduate teaching qualification at your University – usually for free! This qualification is usually called the Postgraduate Certificate in Teaching and Learning in Higher Education. Completion of the teaching qualification leads to the professional recognition as Associate Fellow or Fellow of the Higher Education Academy in the UK. Research – For graduates interested in innovation, development and the technical side of the life sciences, research is a very appealing option. Remember that research is not limited to working in a University laboratory where you can work as a research intern, research assistant or technician. As a Life science graduate, you have a wide variety of options and location where you can be employed to conduct research. This could be in a drug development company, national health research centre such as National Institute of Health Research, NIH (USA), product development companies such as Unilever, Johnson & Johnson, Medical Device companies or even SMEs. In these organisations, you can be employed as a Research Scientist and expected to conduct research in different areas. An advantage of a career in the sciences are the specificity of the technical skills and the array of transferable skills you have developed, which means you can work in similar organisations worldwide. For a career in research, a good degree qualification and the ability to demonstrate your laboratory and technical skills are the minimum requirements at entry level. Sales – Are you a science student or graduate involved in charity events, soliciting donations from other students and academics (a tough crowd to get money from!! ), or do you work as a sales person in a clothing store and not sure what to do after your degree? Well you are already developing skills in sales! With a good degree to belt, your communication skills, passion for selling and ability to convince difficult customers, you can embark on a career which could involve selling modern and hi tech diagnostic or scientific technologies to other companies and academic institutions. A career in sales can be very rewarding financially with many added benefits such as bonuses, car allowances etc. Remember that a role in sales will most likely involve travelling, but what’s not to love about travelling eh? Transition to Medicine – A life science degree or a background in the life sciences can be a route for those who retain interest in practicing as medical doctors. As an International educational activities adviser, I am often confronted by parents and young students who are particularly interested in a career in medicine but find it difficult securing places on medical degree courses due to limited places and competition. Achieving a first class or 2.1 degree in the life sciences presents another opportunity into medicine either though the standard route (UCAS) or via the four year accelerated graduate entry programme (GEP). Some of the Universities and medical schools in Australia, the UK and Ireland require that you pass the Graduate Medical School Admissions Test (GAMSAT) to be considered. Whilst GAMSAT is one of the main routes into GEPs in the UK, the MCAT test is the required test for entry into medicine in the USA. Keep in mind that graduate entry into medicine is not limited to the UK or the USA, although they are preferred options. If you are passionate about getting into Medicine, put your research skills to work and find out what option works best for you. Business management and Entrepreneurship – Yes, you can! Don’t be alarmed! As a science graduate, one of your career options is definitely in the commercial sector. The analytical skills of science graduates appeals to both scientific and non-scientific organisations. Employers can provide training on aspects of business and business management which as a science graduate, you may not have. Do you have a great idea and want to start your own business? A number of Universities are now embedding entrepreneurial training in their science courses as well as providing support for students who want to transform their ideas into a business. If this is an area you would like to develop whilst undertaking your degree or as a graduate, why not approach your careers department and ask for advice on what type of training programs or free workshops are available to help you develop business skills. You can also volunteer with business organisations, giving you an opportunity to see their operational challenges and how you can use skills you have developed from your science degree to solve them. To get into the business and commercial sector, you will still be expected to have a good degree (2.2 and above), good communication skills and be willing to take up the challenge of working under pressure in what is usually a fast paced environment! We hope you have enjoyed reading this article and found it helpful. If so, please like, share and follow! 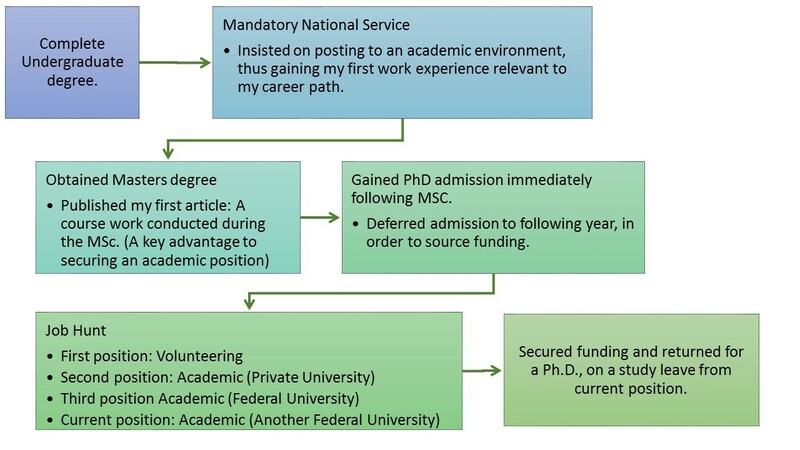 In part II of this article, we will conclude on other career options and pathways for life science graduates, so be on look out. If you would need further advice on how to get into these sectors, do not hesitate to contact us via email (info@aspiringprofessionalshub.com). Watch this space for our career profiles, providing information on how to get into different career ‘spaces’ from people who have been successful at doing so. If you would like to contribute an article, please contact us @AspProfHub. When you think about the term ‘entrepreneur’, what comes to mind? Major business oligarchs? Wealthy business moguls? Well think again! The idea of entrepreneurship is no longer a forlorn and unachievable dream. In the United Kingdom, there is a major drive to embed entrepreneurship into University curricula. In today’s post, we had the pleasure of interviewing Derek and Keara Mafohla, founders of ‘Graduate Rejects’, a social enterprise with the aim of improving educational standards for young children in Zimbabwe. DM& KM: The founders of Graduate Rejects are siblings Derek and Kearabiloe Mafohla. Derek is currently an undergraduate student at the University of Greenwich studying Computer Science whilst Keara Mafohla is a final year student at the University of the West of England studying Biomedical Science. Can you give an overview about your business or enterprise? Initially we formed Graduate Rejects as a charity in November 2011 but in January 2013 we adopted the social enterprise model. When we began, we concentrated on a small community in Tshabalala, Bulawayo the second largest city in Zimbabwe. We noticed that there was little educational activity within the community which left children and young adults engaging in drinking and other activities that made no contribution to a successful future. We (Graduate Rejects) decided to donate books to local schools and libraries with the hope of developing and encouraging a reading culture within the community. Our love for children and knowledge of the poor education systems they were exposed to were our biggest inspiration. Some schools in Zimbabwe have outdated educational systems and infrastructure. The resulting impact is that children fall into a cycle of attending school for a minimum of 11 years but failing to study further or achieving good grades. We are of the belief that if we are able to encourage proper and more modern ways of studying, children who cannot afford a good education can adopt self-study techniques. Importantly, we embrace the importance of a holistic approach to meeting the educational needs of children. Interestingly for the past year we have been trying to raise money to build a website for our enterprise. We greatly acknowledge the importance of social media as it has helped us promote our work. Twitter, Facebook and Instagram have been our social media platforms of choice since they are free and easy to set up. We engage with a lot of people whenever we write any posts but also we are constantly seeking to learn from others who are interested and willing to share with us. We come from a politically volatile country and whatever form of business or charity you choose, you have to bear that in mind. Shipping costs for the books we donate has always been and remains our biggest challenge. We find that many people are willing to donate books to us but the costs to ship the books are often prohibitive. We are self-funded and that also presents its own challenges. We also think finding the right model for children and adults to get actively involved to further improve study is often tricky but we are dynamic and open to ideas on how to actualise this. Expecting things to work accordingly! It is important to remember that things do not always go to plan but to remember that obstacles do provide an opportunity for personal development and learning. In our experience so far, we suggest that if you are considering starting a business or social enterprise, keep a journal and document all your activities. This provides ‘fodder’ for reflection which is a useful learning tool. Finally, don’t give up when you are faced with challenges. Personal development? Professional development? – These are terms that we hear quite often but what do they really mean to you as an individual? Is it simply about developing your skills or does it entail something more? In this ‘Reflections’ piece, Blessing Obinaju expatiates on this topic by sharing her journey of personal and professional development. Begin with the end in mind – This is our mantra on the Aspiring Professional’s hub. In your field of study, area of business interest or chosen career, is there anyone, business or role model in that position you aspire to be in worldwide? Knowing something about the journey to their attainment or achievement could be a starting guide for you to start a plan for your own global attainment. 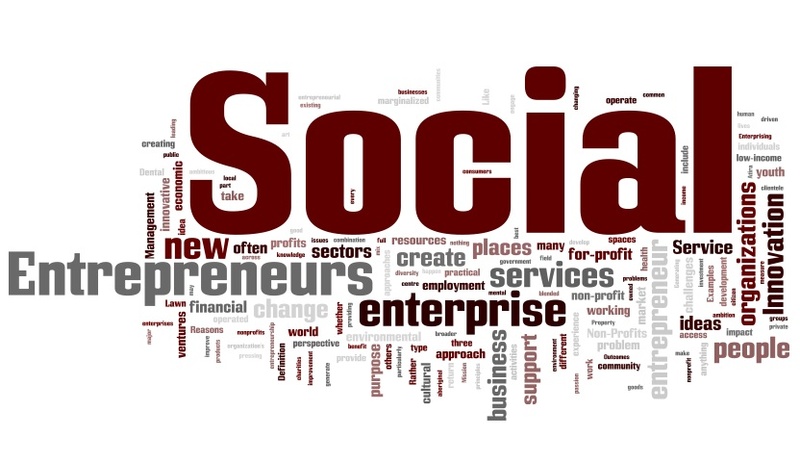 These days it is not so hard to learn about global figures when you have Google and in most cases these global stars are on social media sites such as LinkedIn, Twitter or have personal websites. Have a plan – of your own for that career, design, business or idea BUT with a global audience in mind. For example, if you are choosing a course at University, think broadly about how relevant that course is another country or even worldwide before deciding. If creating a business plan, can that business service a need in another town, state, country, continent beyond your current location? So we suggest in whatever your goals or targets, THINK GLOBALLY. Finally, personal development is catching fire within Africa. I do remember when I made the decision to pursue a career in academia; I was in my third year studying for an undergraduate degree. I remember the responses I received when I mentioned I was going into teaching. I also remember that to most of my peers at the time, it was the joke of the century. I was perhaps fortunate to have found my first footing in the murky waters – deciding for myself what I wanted and who I wished to become. It would have been easy to have abandoned that footing simply because it was criticized. Why didn’t I? Well, I wasn’t looking at the immediate moment, I was looking at the end goal, as the article aptly stated, I was beginning with the end in mind. So, how did I crack on? I was privileged to have had close relatives who were already in the field. Thus, it was easy to research the steps required to attain the height I envisioned. I devised my plan (including options for any derailment or obstacles) and relentlessly followed it. Of course, nothing ever goes strictly according to a laid out plot – it wouldn’t be life if it did. However, what happens when you have a plan is, there is a calculated margin of what I love to call “happen-stance”: occurrences that take you by absolute surprise, frustrate and completely throw you off your path. I’ am sure that some of you are stomping your feet at this moment and screaming ‘Provide us with a detailed breakdown.’ I won’t tease you longer. For those of you who are Nigerians, you will be able to follow the path more closely. I wouldn’t be an academic if this piece had no schematics. So, here’s the plan and I am happy to say I am currently in the last phase. Image courtesy of Blessing Obinaju. So, how has this impacted me, re: global relevance? First, one of my most cited papers as an academic is the very first article I published shortly after my M.Sc. This and the various presentations at conferences during the Ph.D., have been quite relevant to placing my feet firmly on the cobbled stones that help us cross the waters which divide relevance and insignificance. As an academic or an aspiring academic, you can never attend enough conference, workshops or seminars in your field. More importantly, my academic experience and my ability to continuously adapt my plans to fit my goals – despite challenges that the world would always throw my way – resulted in a book – The DANCE of Life: A guide to living your best life every day. It has also opened opportunities to share my experience as a STEM ambassador for the Science, Technology, Engineering and Mathematics Network as well as in several other forums. Location, location, location – Even though I gained my Master’s degree from a country other than that where I currently hold lectureship position, there was no debate over whether or not I should return to my home country upon completion of the degree. It was more of a forgone conclusion because I knew I was aiming for a lectureship position in my home country and that position would pay for the Ph.D. Think long term – Notice that my very first job was a volunteer opportunity (yes, it was in Nigeria!). The point of this was, while I was job hunting for academic positions, the volunteer position which was still an education role, ensured that there was no gap period on my CV and I gained additional work experience. Never underestimate the value of internships and do not overlook volunteer opportunities either. Just be certain that they are related to or somewhat impact on your end goal. It is also important to state that the most invaluable tool to really finding one’s feet within those waters is, an ability to constantly increase your bank of knowledge and not just in your area of certification. Being well-versed and well-read isn’t just an attribute of the rich and affluent – thanks to technology – everyone can be. It only takes being proactive and of course, actually desiring to reach your envisioned peak, whatever that is. Blessing Obinaju is an Academic Researcher, Career Counselor, Life Coach and Image consultant. She works in the Department of Biochemistry, University of Uyo, Nigeria. She is also the Principal consultant at La Belle Vie, providing life coaching services to individuals. You can find her on Twitter @ObinajuBE. #CareerChat – What does it mean to be globally relevant? As a lecturer and researcher, I was forced to ask myself some questions. Are today’s courses and degrees designed with a “global eye”? Are students being prepared for a global world? How do I know if I am globally relevant? What does it take to be globally relevant? With all these questions in my mind, I chose a title (same as above), which was just as much self-reflection as it was my seminar talk. I will share a few points from my nth hour prepared slides but I am also really curious for your opinion on this topic. So how can we find that relevance globally? With every good plan and desire come challenges, so Research, Research, Research. This is usually where most plans fail as the LACK OF KNOWLEDGE leads to death of the idea or what was once a great plan. Furthermore, whilst understanding personal attributes remains important, sharing and having a community to help you contextualise and develop your ideas is just as important if not more so it is important to Network. Remember, you are not the only one in the world with the ground-breaking or crazy idea so having a platform to harness that attribute or idea with a receptive or critical audience would do you no harm. Finally, self-evaluation is important. With constant evaluation, you can assess whether you, your ideas or plans are progressing or whether it is stale and needs change or a revamp. Whilst preparing this talk, I came across The Success Indicator Poster by Mary Ellen Tribby, which differentiates, successful from unsuccessful people. This can be your motivational tool to start that global journey. We would like to say thank you to all our readers. We are humbled at how far reaching our articles have ‘travelled’ and we think it is fair to say we are indeed finding our feet within those murky waters of global relevance. Please share your thoughts on this article by leaving a comment, we learn so much from them! If you have an article to share, please email us @ info@aspiringprofessionalshub.com.